I decided to update my blog just in case you’ve been sitting around wondering what I’ve been up to since my last post. I flew into Seattle July 11th and stayed only for a few days before I unexpectedly had to fly back and forth to Mass. For a couple days I explored the Emerald City(that’s what they call it) and got a chance to meet up with some friends from home, Dave and Nikki before their trip to Alaska. I also caught up with my buddy Malibu and we went for a massive bike ride around Lake Washington. Last year this dude rode his bike from Seattle to San Diego, hiked the PCT, then rode a bike home to Seattle from Manning Park. He had an extra bike just for this kind of situation and I did my best keeping up with him. I don’t have too much road biking experience but my only real problem was I kept getting my right foot caught in the baskets. I fell 3 times, not bad falls though, but only when I was stopped at an intersection and lots of people could point and laugh. I’ve laughed at plenty of people falling though, so I deserved it. 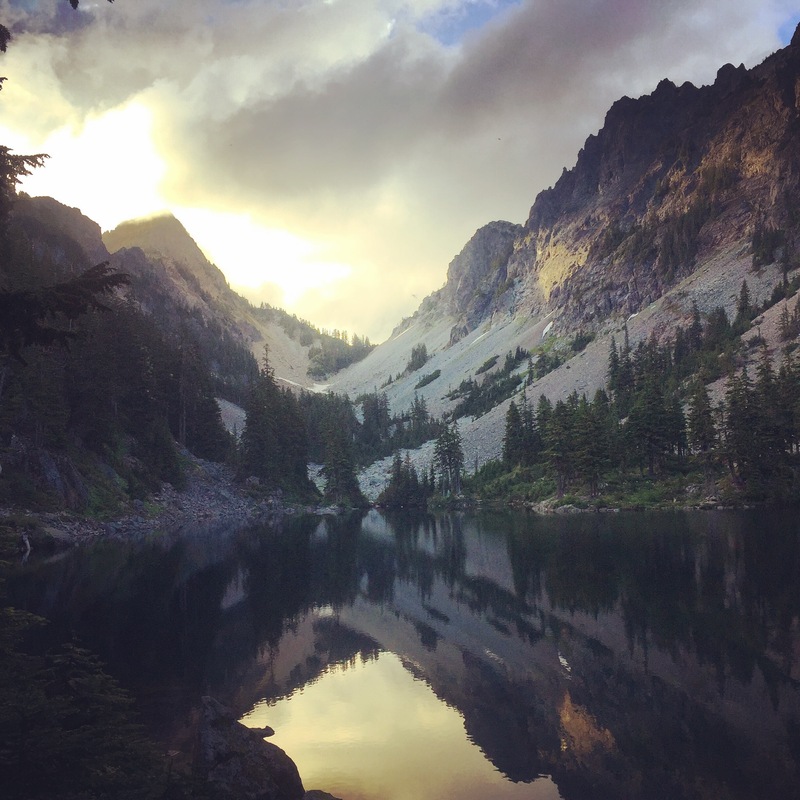 When I returned to the Pacific Northwest, July 17th, I headed out towards Snoqualmie Pass and the PCT. I caught a bus and then a couple of quick hitches and was on trail around 6pm. From Snoqualmie Pass I headed north on a familiar section of the PCT to do a 2 night out and back. About two miles into this incredible little slice of heaven I ran into Ram and Red Feather out for a day hike. I met them both last summer before they had met each other and they informed me that they just got married. Long trail, the PCT, but small world. After a couple nights my friend Sweetums joined me and we hiked up the Denny Creek trail to the magical Malakwa Lake. Sweetums learned me on all kinds of stuff hiking. A total badass, and if I wasn’t my own idol she’d be a front runner for that title. Check out her blog here: chasingmydaydream.com. She was off to solo the Enchantments in a day and I was headed to Yakima,WA to see my friend Jenn. Sweetums drove me part of the way and then I caught a couple hitches including a beautiful ride through Yakima River Canyon. Jenn came through with a ride the rest of the way, put me up at her place, and drove me to the bus station the next day. We went out in Yak Vegas(I heard that’s what the locals call it) had a fun night with Jenn(a friend of mine from years ago who spent some time in Lynn) and Katie, who I met last year while I was out that way, and some of their crew. Only by a few days did I miss out on their fly fishing trip to Idaho. Timing is everything. 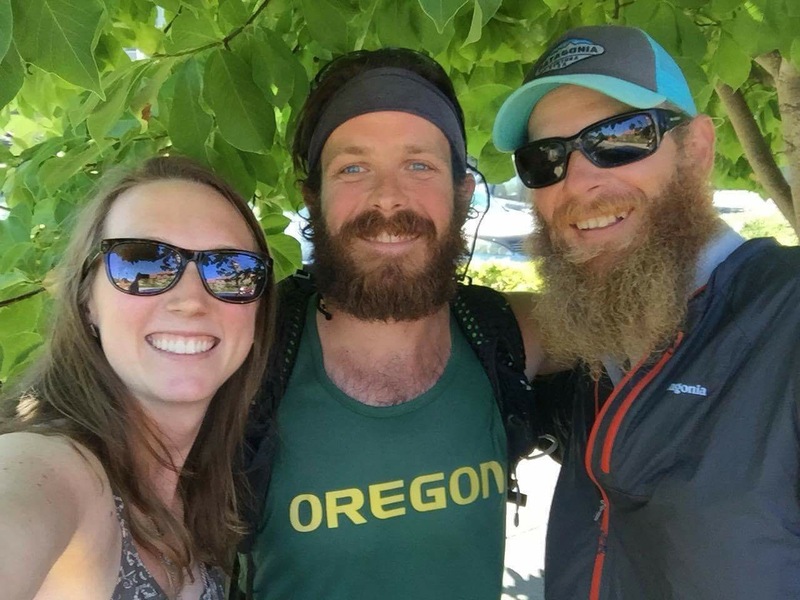 From Yakima I planned on joining my buddy Boone in Oregon and get on the PCT for awhile. I took a bus to Seattle, then ran across the city to catch another one to Portland. Boone and his girlfriend Katie did me a solid. They drove from Bend to Portland and back to pick me up. 3+ hours each way. The two of them had been hiking north from Crater Lake, Katie was about to head home and Boone was continuing on to Canada. 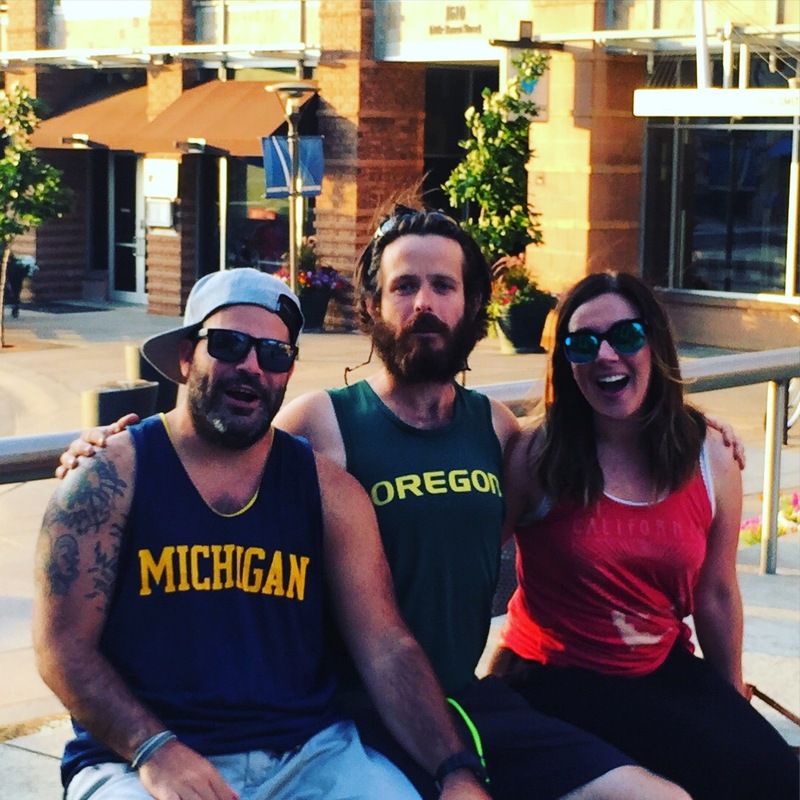 It was great to see these two and we drank milkshakes and ate pancakes and all that good thru hiker food. The following morning Katie dropped us off at Santiam Pass and Boone and I crushed a bunch of trail. 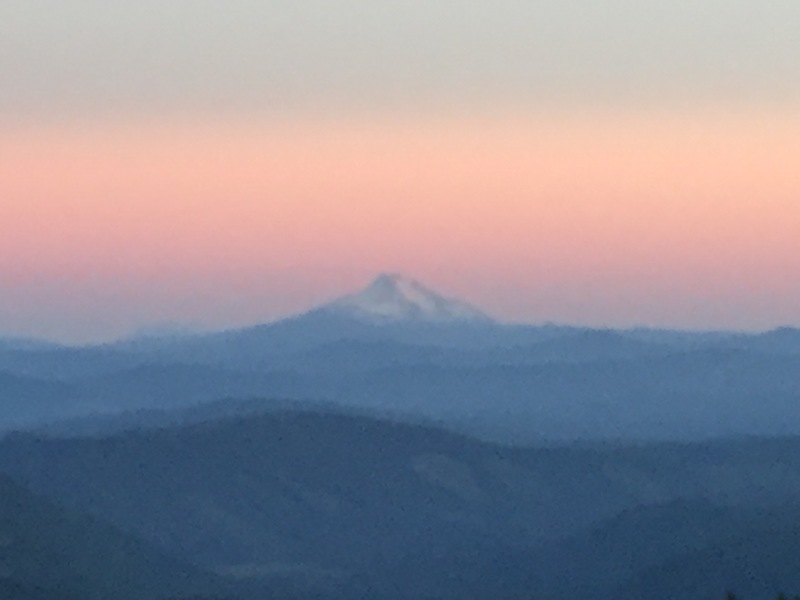 So nice to be back on the PCT in Oregon, soft smooth trail and gentle elevation gain and loss, not to mention the spectacular views throughout the hike. Going from Maine on the AT to Oregon on the PCT is like swinging a weighted bat and then a wiffle ball bat. 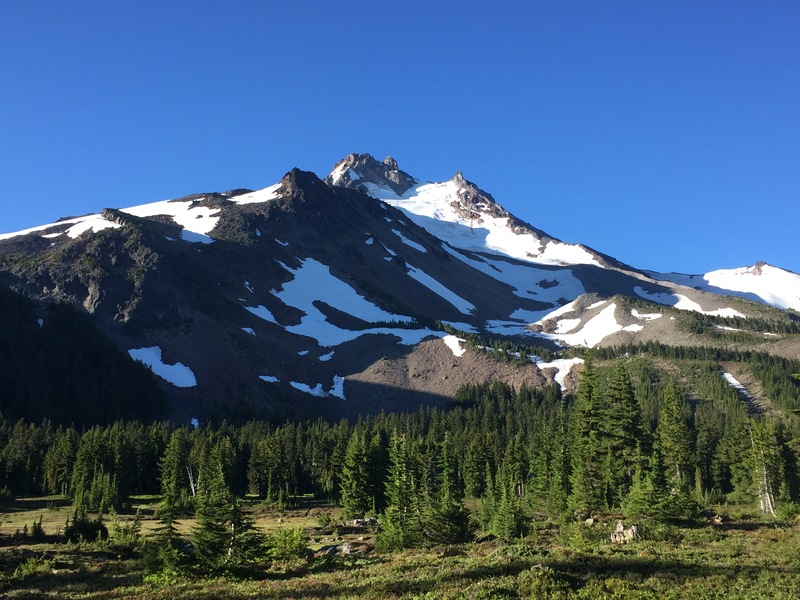 After about a hundred miles we got up to Timberline Lodge on Mt Hood. This is the hotel from ‘The Shining'(the outside scenes anyway). We surprised our buddy Speed when we joined him stealth camping in the woods nearby and then I could barely sleep because I was so excited about the brunch buffet at the lodge. This is the greatest breakfast ever. I mean that’s in my opinion, but I’d like to know where to find a better one. If I was ever to be executed(hopefully that doesn’t happen) I’m going with the Timberline Brunch for my last meal and if they don’t have that I’m going with pad thai pizza. Two more days of hiking and I got to Cascade Locks, OR. I ate some lunch and took a shower that I also used to wash my clothes real quick. So now I’m trying to get to Portland and I’m standing on the road with my thumb out for like ten minutes without anybody even slowing down or look twice. Miraculously my friend Roadrunner, who lives in town unbeknownst to me, spots me from the opposite direction and yells to me a la Billy Ocean, “Get outta my dreams, Get into my car!” At least that’s what I heard. What she probably really said was,”Hey Endless, you hobo!! Get in the car I’ll give you a ride.” It was awesome. Great to see her and catch up then she drove me all the way to Portland. The options for flying from Portland to Denver were weak so I audibled. I took a bus to Seattle then a red eye from there to Denver with a quick layover in Minneapolis.